How to solve Fractional Equations? 1. Find the Lowest Common Denominator (LCD). 2. Multiply both sides of the equation by the LCD (to remove the fractions). The following diagram gives an example of solving fractional equation. 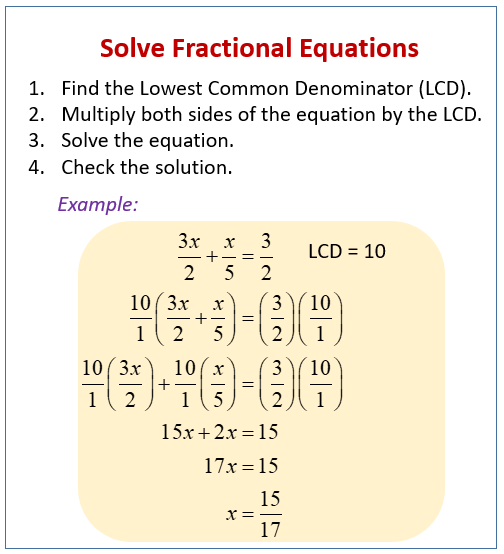 Scroll down the page for more examples and solutions of solving fractional equations.